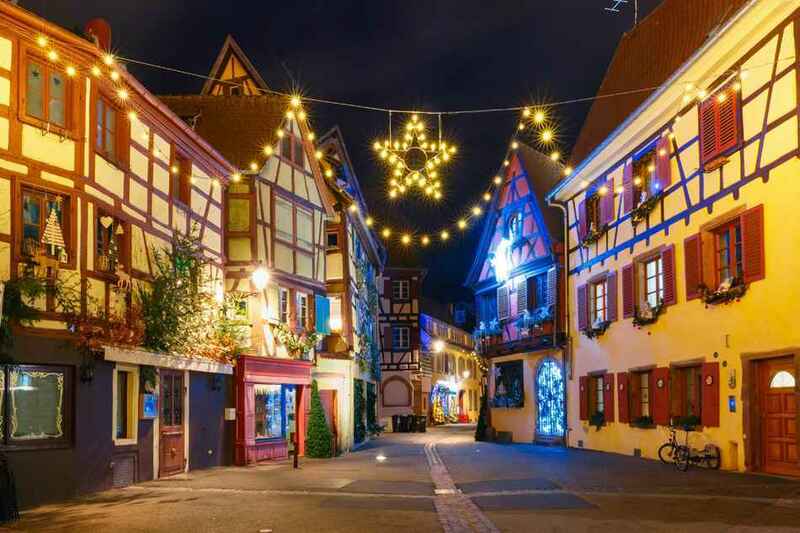 ‘Christmas in Europe’ is a very special tour that travels by train from London to Strasbourg and through the heart of Germany, visiting the magical Christmas markets and soaking up the festive atmosphere that makes Germany such an exciting destination at this time of year. 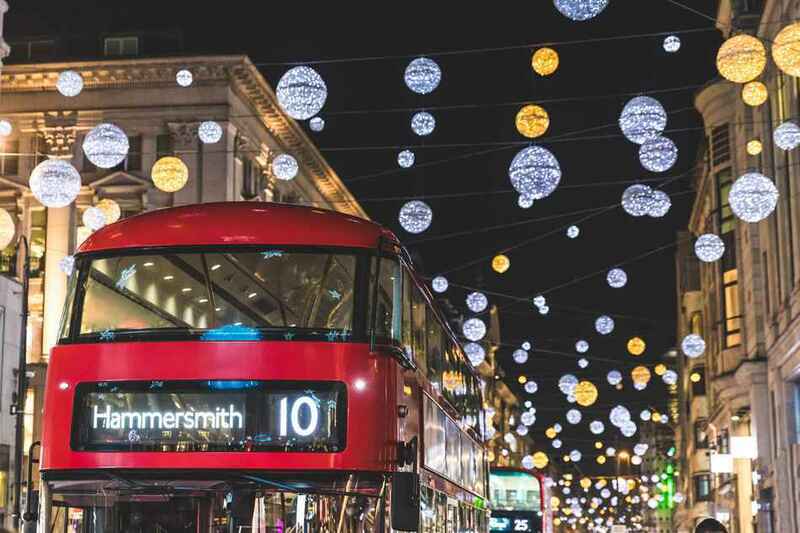 We begin In London with three nights in the heart of the city, where the shop windows are ablaze with festive displays and Trafalgar Square is dominated by a huge Christmas tree. 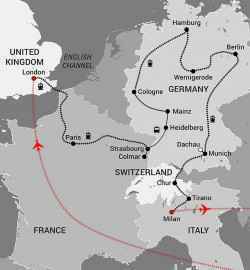 Boarding Eurostar, we head through the Channel Tunnel to Paris, where we change trains for our journey east to Strasbourg, one of the great historic cities of Europe, sitting right on the border with Germany, and blending both French and German influences. Crossing the border into Germany, we travel through the heart of the country visiting the wonderful fairy-tale cities of Heidelberg and Mainz where the medieval architecture and cobbled streets are adorned with festive illuminations and the lively Christmas Markets sell traditional decorations, gluhwein, sizzling sausages and spicy gingerbread. 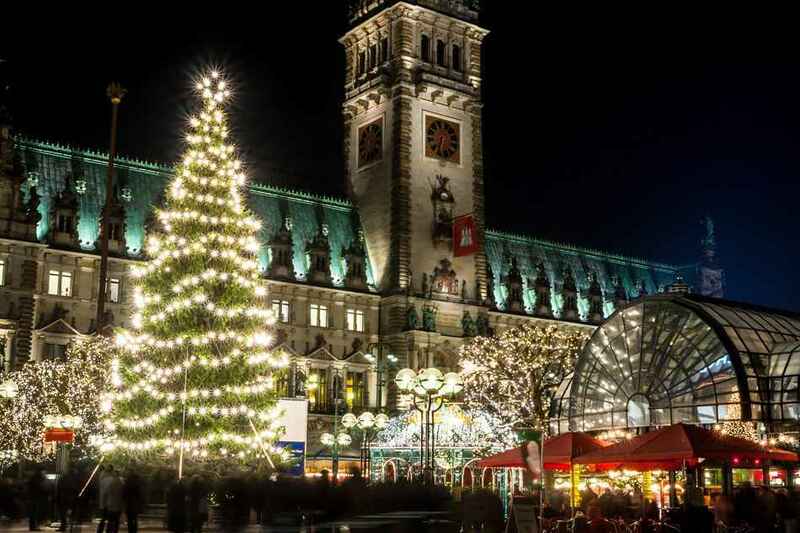 Continuing north we spend three nights in the great port city of Hamburg, before heading to the medieval jewel of Wernigerode, where we enjoy all the trims and trappings of a German Christmas Day in this delightful town nestled at the foot of the Harz Mountains. 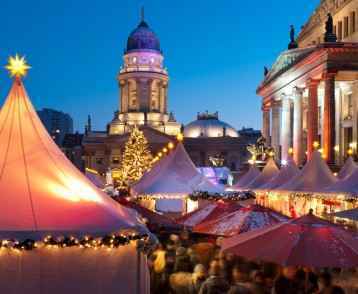 Post-Christmas we visit Germany’s largest city and capital, Berlin, whose richly-textured history is apparent on every street corner. 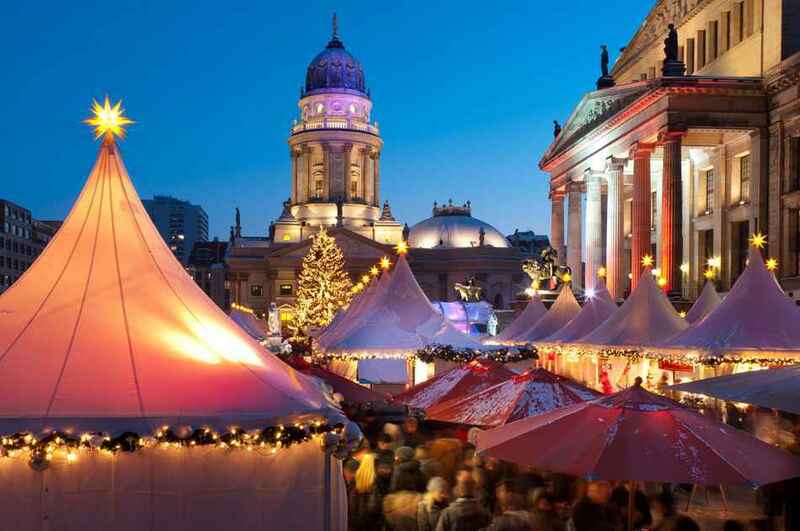 Heading south we arrive in the capital of Bavaria, Munich, where we welcome the New Year in true Bavarian style! 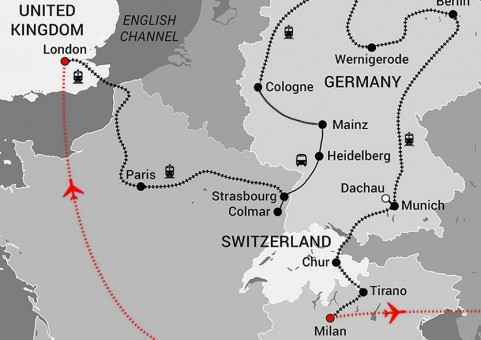 Finally we cross the border into Switzerland, where we board the Bernina Express for the breathtakingly scenic journey through the snow-laden Alps to the Italian cities of Tirano and Milan. 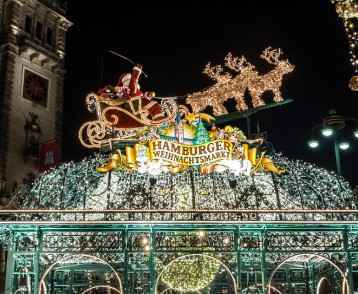 This is a sensational 28-day journey by rail to the very heart of the Christmas festivities in central Europe: it’s a Christmas cracker! Please note that whilst every effort will be made to adhere to the above pricing, currency fluctuations beyond our control can affect final costs. A booking form is to be completed by all passengers, and a non-refundable deposit of AUD $3,000 per person paid at the time of booking. All tours are based on a minimum group size of 10 people travelling. Depart from your chosen Australian airport on the Singapore Airlines flight to Singapore. On arrival we connect with our flight to London. On arrival in London we complete our customs and immigration formalities then transfer to our hotel. 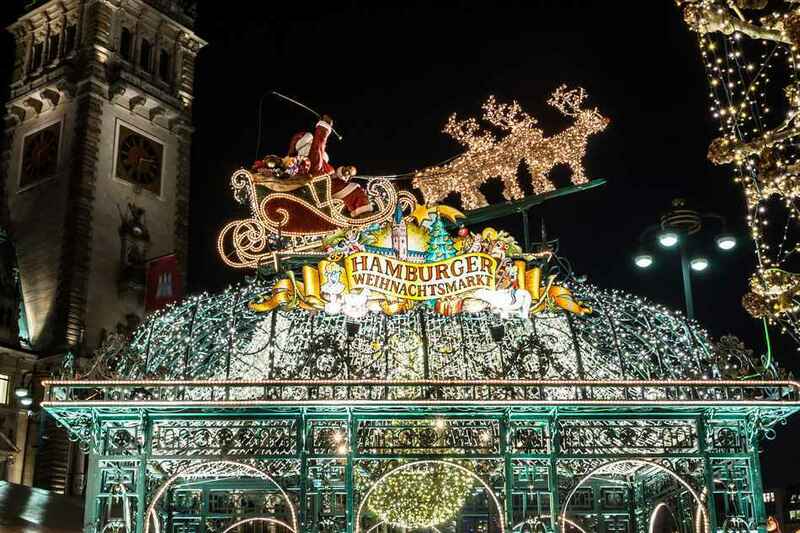 December is perhaps the most magical month to visit London, with lots of festive things to do and enjoy as Londoners celebrate Christmas in traditional style. Today we enjoy a full-day sightseeing tour of the capital finishing at Marble Arch. 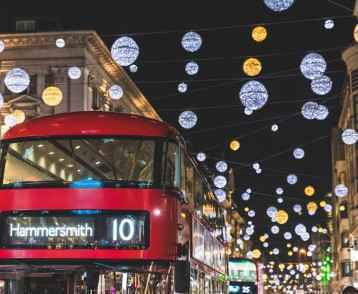 From here we set out on foot to stroll down Oxford Street and Regent Street to see the world-famous Christmas Lights and enjoy the specially decorated shop window displays that transform these two streets into a winter wonderland. Today is at leisure to explore the lights and sights of London on your own. In the evening we visit the Theatre Royal Stratford East for what is widely acknowledged as one of the best traditional annual Christmas pantomimes. The ‘Panto’ is a Christmas institution in Britain and is always great fun for all ages, involving lots of audience participation and laughter from young and old. Our journey today starts at the magnificently restored St Pancras station, the terminus for the Eurostar service and gateway to the continent. Opened in 1868, St Pancras is recognised as one of the finest Victorian buildings and it is a must to look around this fantastic station. Forty minutes after boarding the high-speed Eurostar for Paris, we enter the Channel Tunnel to emerge in France 20 minutes later. The scenery continues to flash by during our 300km/hr trip until, just over two hours after leaving St Pancras, we pull into Gare du Nord station in Paris and connect with our train to Strasbourg. 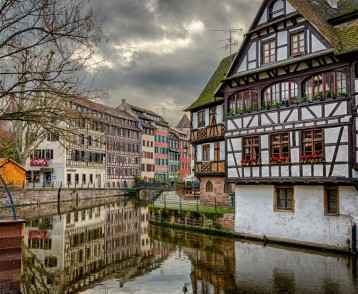 Strasbourg is the capital of the Alsace region of France and has been a cultural bridge between France and Germany for centuries. It is the seat of several European institutions including the European Court of Human Rights. 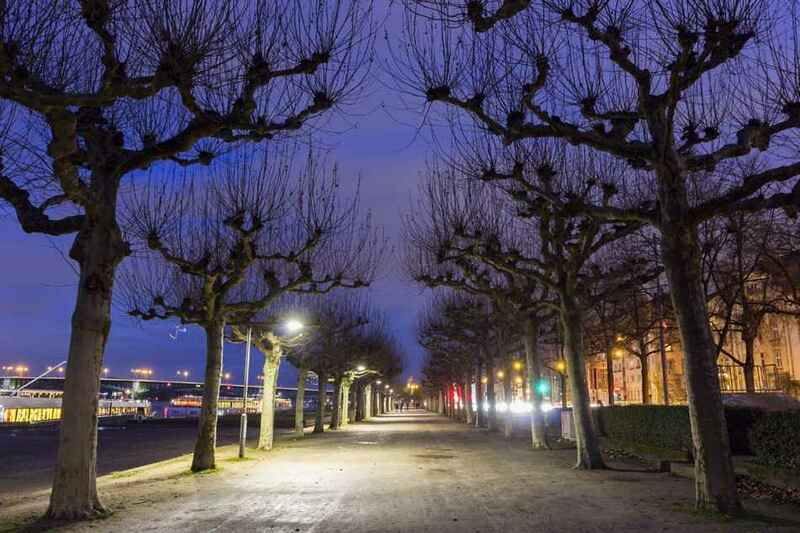 Strasbourg’s historic city centre – the Grande Ile – was classified a UNESCO World Heritage site in 1988, the first time such an honour was placed on an entire city centre. 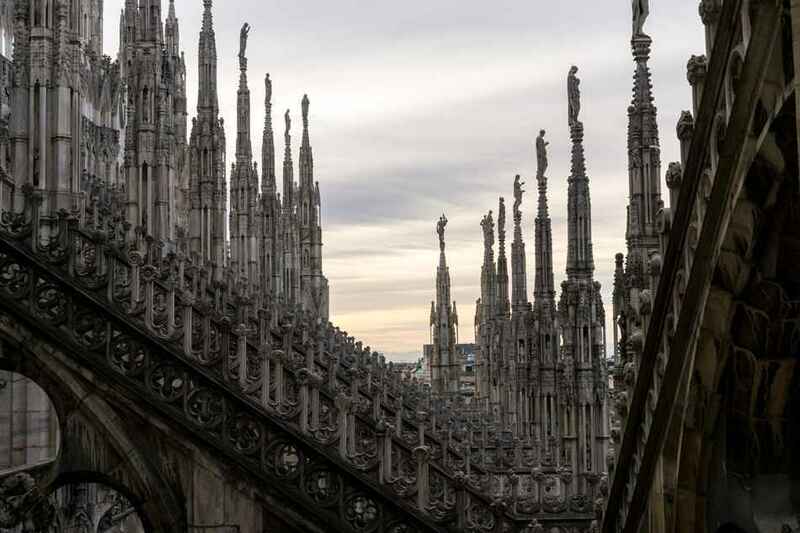 This morning we explore the city with its amazing Gothic cathedral and crooked half-timbered houses, which conjure up images of a fairy-tale past. 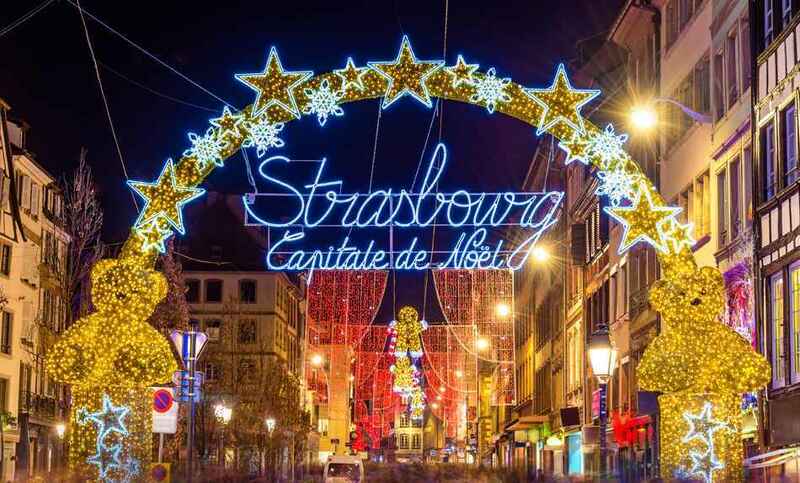 Later we visit Strasbourg’s wonderful Christmas market – one of the largest and oldest in Europe – where dozens of kilometres of Christmas lights and decorations light up the streets surrounding the Great Christmas Tree on Place Kleber. 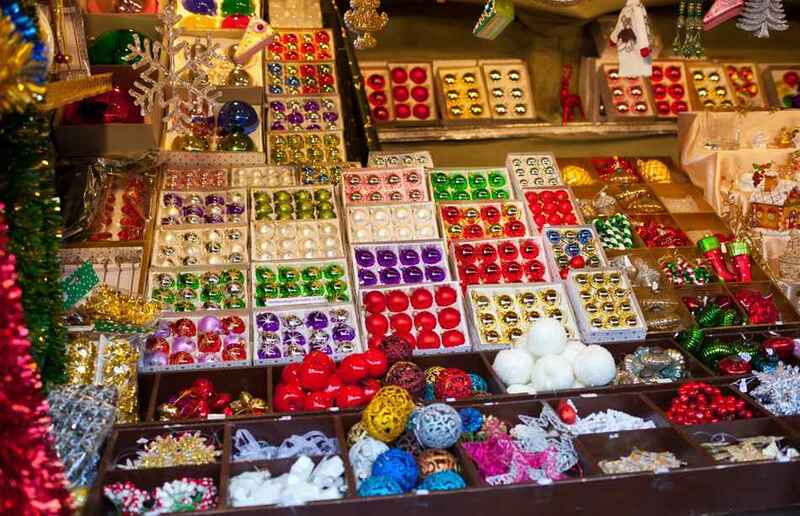 Around 300 stalls are spread out over 10 locations and offer a huge range of festive goods, including craftwork, food and drink and traditional Alsatian Christmas decorations. 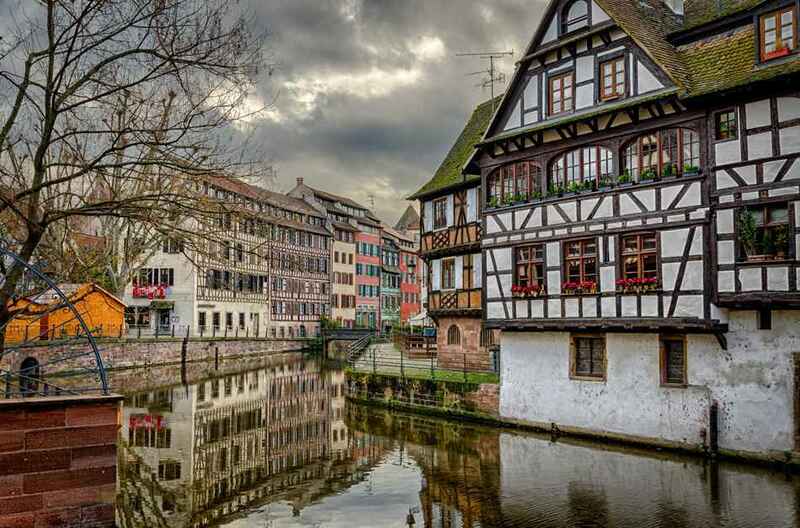 The delightful medieval town of Colmar is located less than an hour’s drive from Strasbourg, and this morning we set out to explore this jewel in the crown of the Alsace region. Characterised by beautiful half-timbered houses in shades of pink, blue, lemon and apricot, Colmar is a maze of pretty cobblestone streets running next to narrow canals. The town centre is almost entirely pedestrianised, and here we see a stunning display of Christmas illuminations, with every heritage building and monument adorned with decorations and twinkling lights. 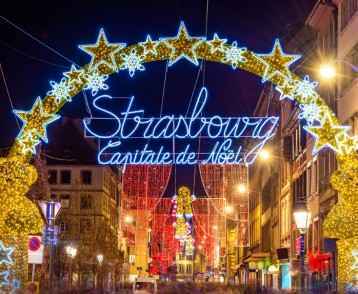 After soaking up the ambience of the historic Old Town, we return to Strasbourg. After breakfast we board our coach for the 90-minute drive to Heidelberg, one of Europe’s most enchanting cities. 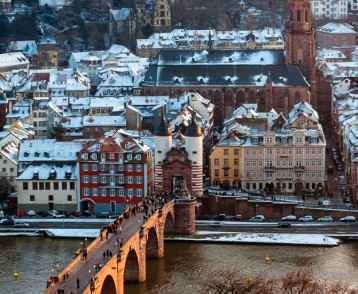 Surrounded by forest, Heidelberg has been the inspiration of poets and artists for centuries, among them Goethe, Turner, and the American literary great Mark Twain. 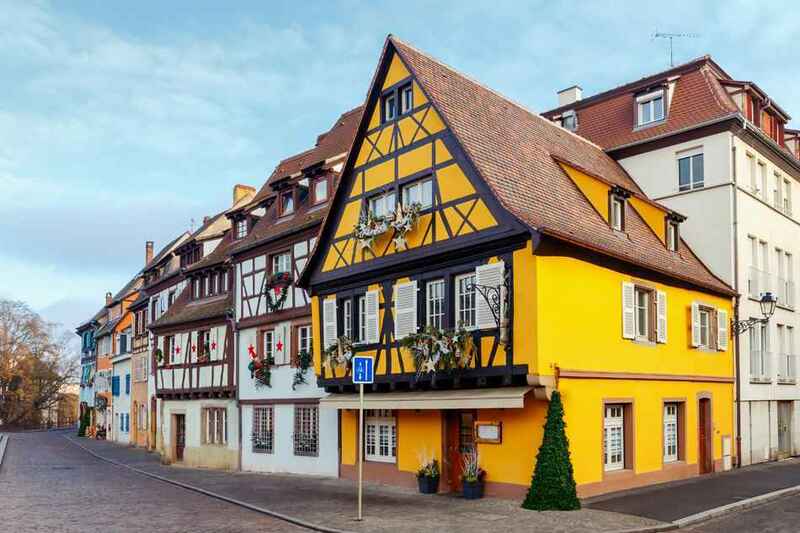 Located on the banks of the beautiful Neckar River, the atmospheric Old Town is overlooked by an evocative half-ruined hilltop castle, one of the most important Renaissance structures north of the Alps. 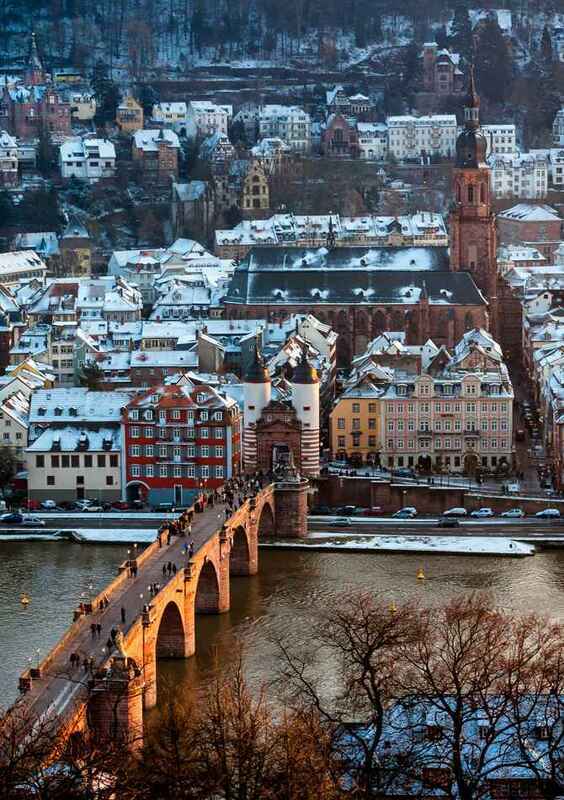 On arrival in Heidelberg we begin a full exploration of this romantic city. After lunch we take the funicular railway to Heidelberg Castle and late afternoon we re-board our coach for the one hour drive to Mainz, situated at the confluence of the Rhine and Main Rivers. 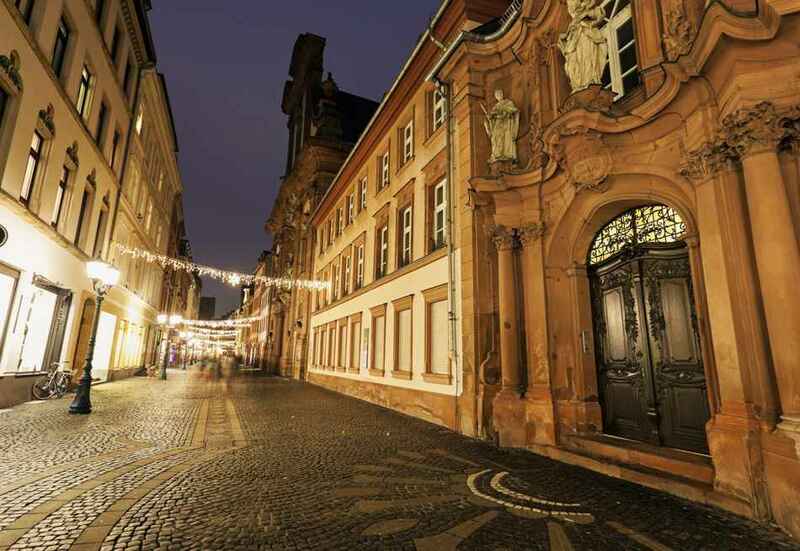 For more than a thousand years the city’s skyline has been dominated by one building – Mainz Cathedral. 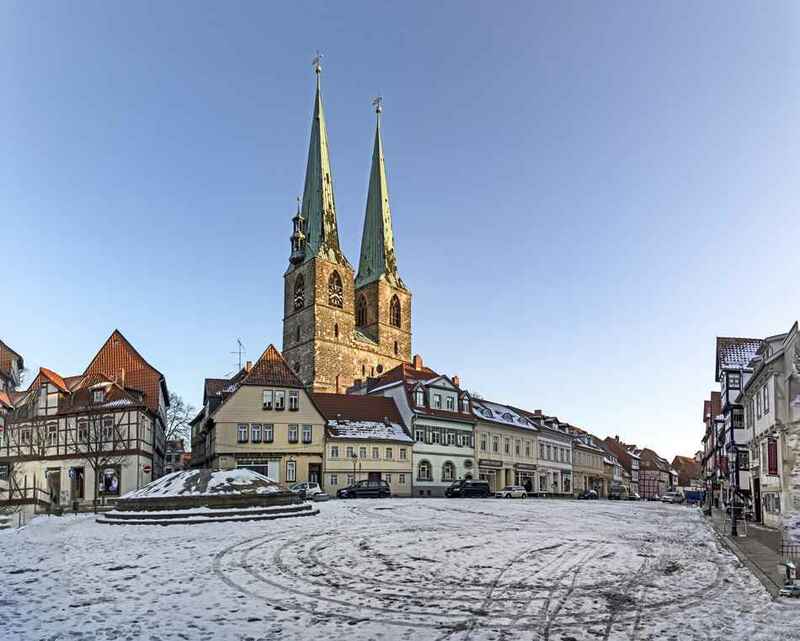 Towering majestically in its central location, it is one of the most important churches in Germany. This morning we begin our city tour of Mainz, visiting the cathedral and the remarkable Gutenberg Museum – one of the oldest museums of printing in the world, and home of the first printed bible. After lunch we visit St Stephen’s Church – famous for its brilliant blue stained glass windows by the artist Marc Chagall. Today we travel on one of the most scenic drives in Germany. 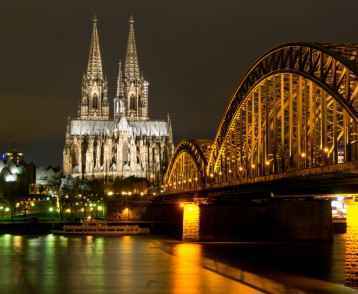 Hugging the Rhine Valley, we head north via Koblenz to the beautiful city of Cologne, a journey of around two hours. En-route we pass many beautiful and historic castles as well as the remarkable Loreley Rock, a 132m high slate cliff towering above the narrowest point of the Rhine. 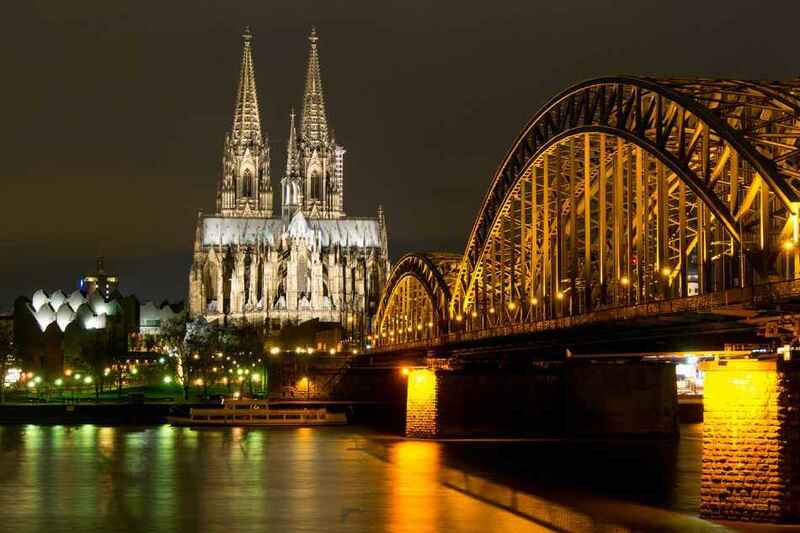 Arriving in Cologne, we begin a city tour starting with the Old Town and the Cathedral. 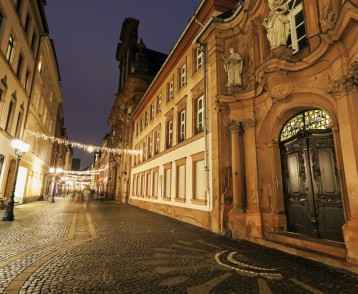 We then move to the historical Town Hall before strolling through the narrow, cobble-stoned alleys that mirror an illustrious past. Germany’s fourth-largest city was founded by the Romans in 38 BC and today it offers the visitor endless attractions from Roman history, medieval churches and quirky avant-garde architecture. 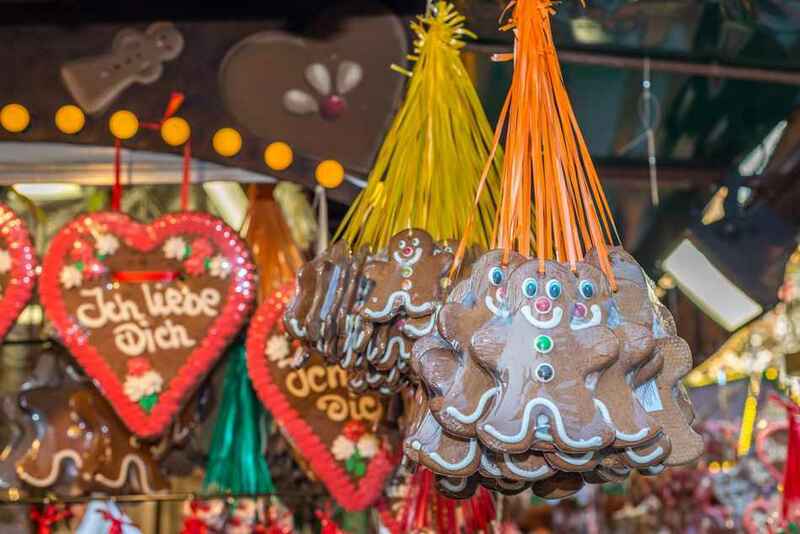 There are several Christmas Markets in Cologne and they are all subtly different, but they all offer that special Christmas magic with local specialities as well as the usual gluhwein, bratwurst, hot chestnuts and gingerbread. After breakfast we transfer to the railway station for our journey north to Hamburg. 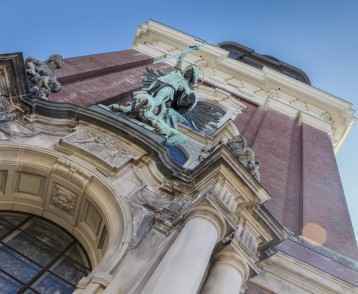 Hamburg’s enormous success story began as a founding member of the Hanseatic League, a medieval alliance of northern European cities that once dominated the shipping trade in the North and Baltic Seas. To this day, the city is known as ‘the Free and Hanseatic City of Hamburg’, reflecting both its association with the league and its status as an independent city-state. People from the city often call it ‘the gateway to the world’, and indeed this impressive port has for centuries welcomed merchants, traders, sailors and heads of state to its dazzling array of attractions. Early-afternoon we arrive in Hamburg and transfer to our hotel. Historically shipping has always been Hamburg’s major industry and today the inner city harbor, on the Elbe River, is the third-biggest port in Europe. 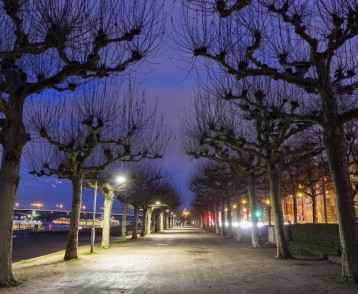 Vast profits from shipping have enriched the city, from the magnificent neo-Renaissance town hall, to the Elbchaussee – a long, leafy stretch of road lined with huge mansions perched on the Elbe. Today we set out to explore this great port city with its maritime architecture, vibrant neighbourhoods, and unique harbour cafes.. In the afternoon we visit Miniatur Wunderland, the world’s largest model railway which boasts more than 12,000 meters of track and 890 trains. Built on a truly massive scale, it covers 1,150 square meters and has areas dedicated to the USA, Scandinavia, and Germany, as well as an airport with planes that actually take off! Containing more than 200,000 tiny and unique human figures, Wunderland is illuminated by more than 300,000 lights. This morning we visit Hamburg’s impressive International Maritime Museum. Housed in a massive red-bricked heritage building, the museum has many fascinating exhibits dealing with more than 3,000 years of humankind’s connection to water, including many old artefacts, models, and artwork. Another marine-themed attraction is the Rickmer Rickmers, a three-masted tall ship built in 1896 that now serves as a museum. 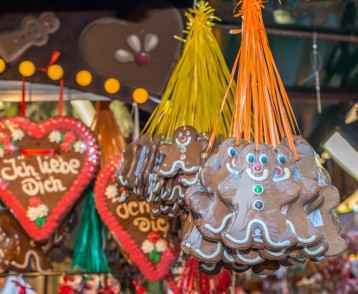 In the afternoon we stroll through the impressive Christmas markets where we see a wealth of enticing foodstuffs, knick-knacks and Christmas paraphernalia. The main market – Winterwald in Hamburg – is based on the concept of creating a winter forest in the city centre. Today we head for the beautiful old town of Wernigerode. We change trains at Hanover and Goslar, with an afternoon arrival in Wernigerode. On arrival in Wernigerode we transfer to our hotel. The rest of the afternoon is at leisure. Wernigerode is a charming German town on the northern slopes of the Harz Mountains. 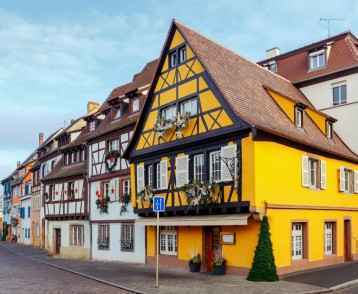 It is close to the old East German border and many of the buildings in the magnificent old town date back to medieval times. Today we spend a few hours riding the steam train to the summit of Mt Brocken. In Soviet times, the USSR’s main ‘listening station’ to the West was on Mt Brocken itself and today it is a museum, accessed by the same train line built by the Russians. It’s a magnificent trip through the forest on a wonderful railway that, in addition to carrying tourists, is part of a 150-km network providing a vital link between neighbouring towns. 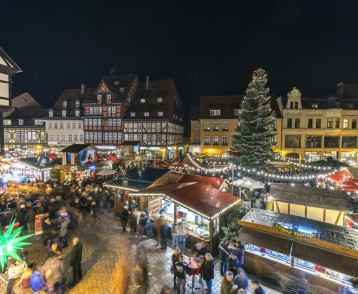 Wernigerode is a relatively small town so it has only one Christmas market, located in the picturesque town square. 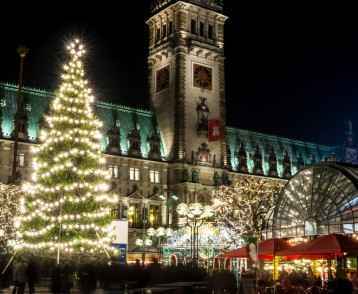 The square is illuminated by thousands of twinkling lights and a huge Christmas tree stands outside the Rathaus (Town Hall). 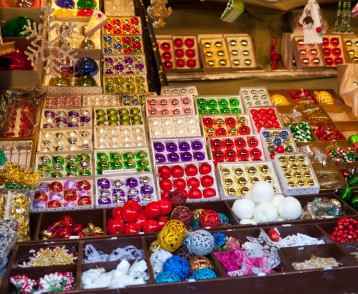 Local craftspeople and artists display their wares, alongside stalls selling all the usual German Christmas fare. This market is smaller and more ‘folksy’ than most of the markets in the ‘Big City’ and this adds considerably to its charm. 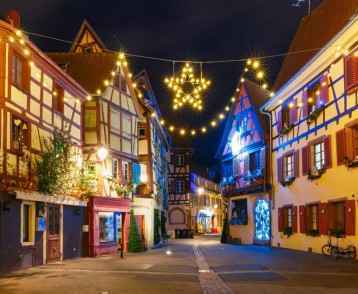 Christmas in Wernigerode is one never to be forgotten. 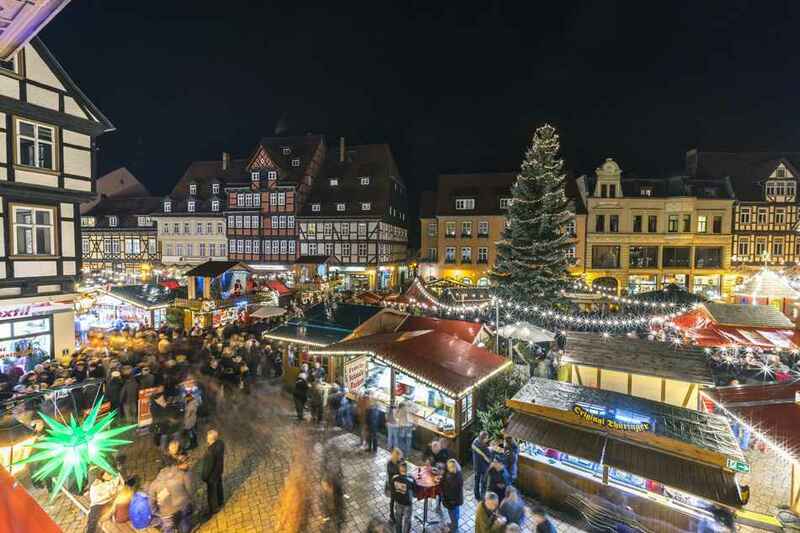 Today is a very special day as we explore the Old Town and its magical Christmas atmosphere. In the evening we enjoy a wonderful Christmas dinner with all the trims and trappings, as we celebrate a Christmas far-removed from the sun and sand of Australia. After breakfast we leave Wernigerode and, changing trains in Vienenburg and Braunschweig, we arrive in Berlin in the early afternoon. On arrival in Berlin we transfer to our hotel. Berlin is a city shaped by remarkable texts of history, where every corner is a mirror of its tumultuous past. From the revolution in the east, to the Reichstag and devastation of WWII, to the division of the city by the wall, Berlin’s psyche is compelling. Today we walk along the last remnants of the Berlin Wall, visiting Checkpoint Charlie and ascending the famous TV tower. In the afternoon we enter the Reichstag building. Today this historic edifice is completely modernised, and looking out from the building’s glass dome we get a bird’s eye view of the great and vibrant city of Berlin spread out before us. 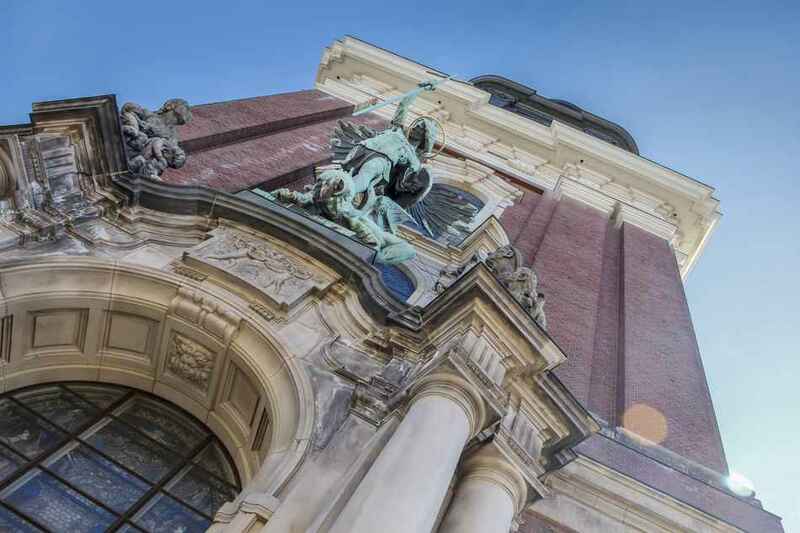 Today we visit the magnificent Charlottenburg Palace which is located close to the city centre. The beautiful palace hosts fine collections of china and paintings and is situated in the middle of a picturesque palace garden right next to the river Spree. In the afternoon we stroll through the Gendarmenmarkt, a stunning square in the centre, located close to Friedrichstrasse, which is Berlin’s main shopping street. After breakfast we leave Berlin for the capital of Bavaria, Munich. On arrival in Munich we transfer to our hotel. This morning we make the short drive to the infamous concentration camp at Dachau. The camp was the first in Germany and was set up a few weeks after Adolf Hitler had been appointed Reich Chancellor in 1933. 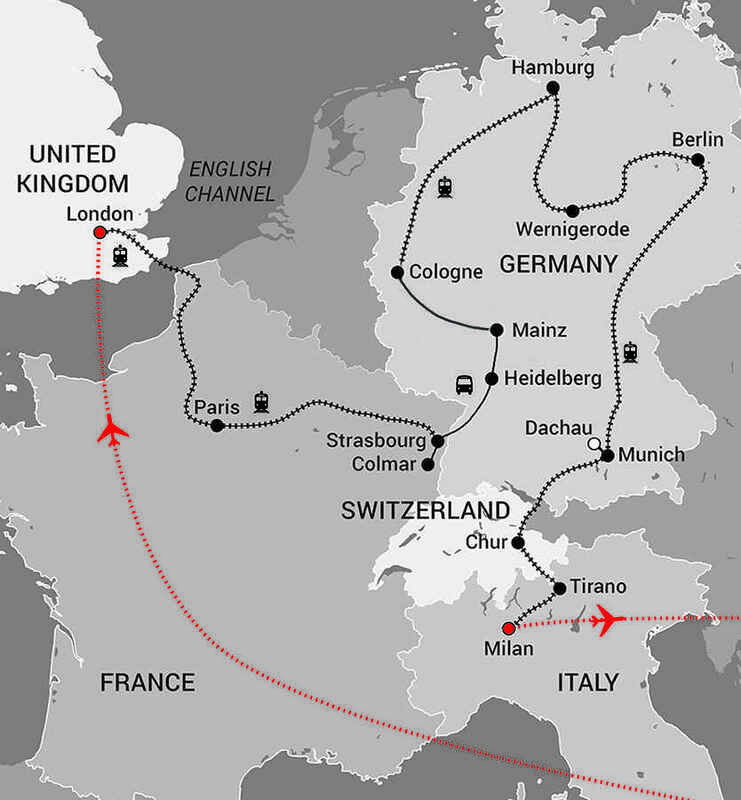 In the twelve years of its existence more than 200,000 people from all over Europe were imprisoned here and in the numerous subsidiary camps. Of these, 41,500 were murdered, before American troops liberated the survivors on April 29, 1945. Today the memorial site combines the historical authenticity of the original environment and its many surviving buildings, with the function of a modern exhibition centre. It is a place of pilgrimage and education, and above all, remembrance. HAPPY NEW YEAR. WELCOME TO THE YEAR 2021! 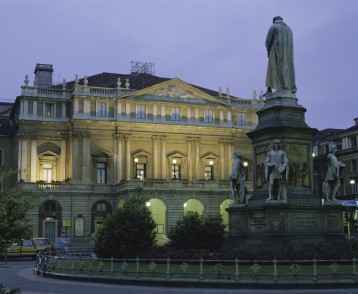 Munich is the capital of Bavaria and the third largest city in Germany. The focal point of the historic inner city is the large open square, the Marienplatz, where the Old and New Town Halls are located. Today we enjoy a city tour of Munich, visiting the square and the remarkable Cathedral Church of Our Lady. In the afternoon we head to probably the most famous beer house in the world, the Hofbrauhaus. It was founded in 1589 by Wilhelm V, Duke of Bavaria, and the first production of brown ale occurred in 1592. The rest is history! After a leisurely morning we transfer to the railway station for our journey to the Swiss city of Chur. 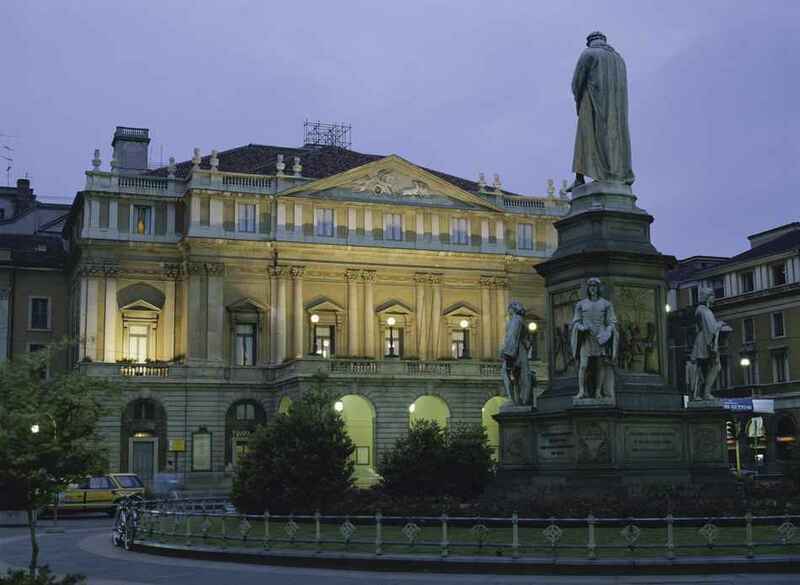 As night falls, we arrive in Switzerland’s oldest city nestled at the foot of the Swiss Alps. 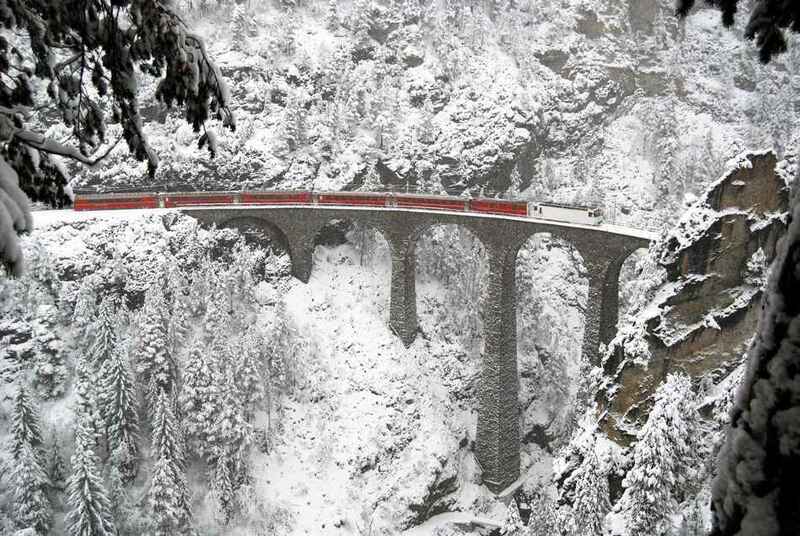 Today we embark on one of the world’s great train journeys – the Bernina Express. Over the next four hours we pass through incredible alpine landscapes and past glistening glaciers and lakes, as we negotiate tunnels, bridges and steep inclines. This is the Alps at their most impressive! 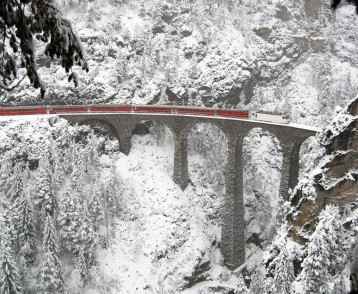 As we head south, we pass ruins and castles before we cross the spectacular (and much photographed) Landwasser Viaduct. After crossing the summit of the line at Ospizio Bernina, we skirt the frozen Lago Bianco before the line begins a dramatic descent. It passes the magnificent Palu glacier and Lake Poschiavo, before traversing the famous Brusio spiral and running along the main street of some small towns it passes through. Eventually the train pulls into Tirano and we change trains for the final leg to Milan. 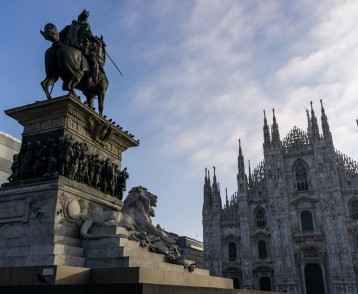 Known as a centre of fashion, finance and football, Milan is indisputably one the of the world’s most stylish cities. Here trendy bars and boutiques rub shoulders in the back streets, while on the busy thoroughfares futuristic skyscrapers signal the city’s superior economic clout. 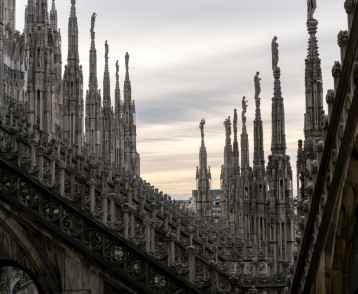 Milan is also the home of two big football clubs, Internazionale and Milano, which share the historic San Siro stadium. 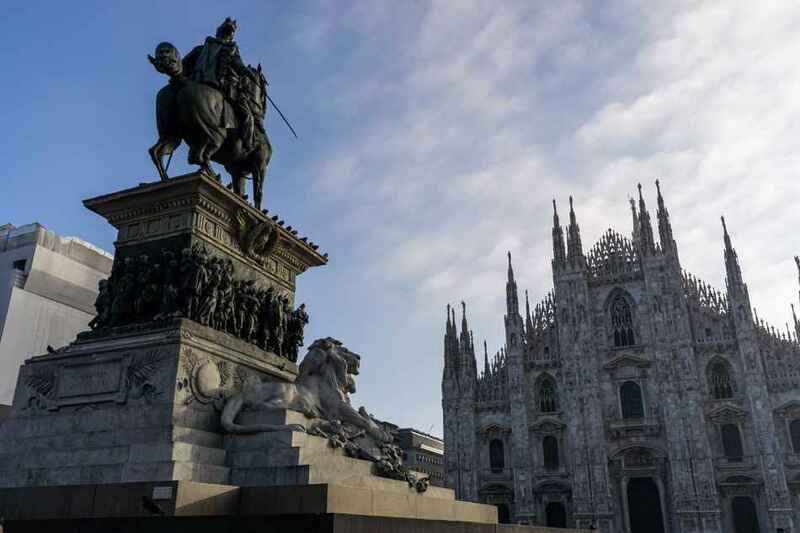 Today we start to explore the city on foot with a visit to the breathtaking Duomo in the city centre, a colossal gothic cathedral and one of the largest in the world. We then enter the Santa Maria delle Grazie church, which houses Da Vinci’s restored Last Supper painting. This morning we venture out to visit to the city’s fabled opera house, La Scala, and Sforza Castle, a grand medieval fortress. In the afternoon we visit the Navigli area in the southwestern quadrant of the city – a charming district of cafes, bars and art galleries located on the banks of the Naviglio Grande and Naviglio Pavese canals. In the evening we enjoy a farewell dinner at a local restaurant. After breakfast we transfer to the airport for our homeward flight. On arrival in Singapore we connect with the flight to our chosen Australian capital.